If you’re looking for the best fully machine-washable dog beds, we’ve got you covered! Let’s face it; our dogs are messy. It’s just a fact of life. And their messiness will eventually extend to the things we buy them. For instance, the dog beds we spend top dollar on are often causalities of their messiness. Due to this, it’s essential you buy a dog bed that’s entirely machine washable. So, read on and get ready to make your life a lot less messy. This post contains affiliate links. We earn a commission if you make a purchase at no extra cost to you. The properly named, The Dog Bed, is a fully machine-washable dog bed that will provide your dog with a sleep session filled with pure comfort. Comes in 3 different colors: grey, biscuit, and brown. Made with premium faux fur to encourage naps of peak comfort. The price is very manageable for all six sizes. Waterproof outer fabric that protects against bathroom accidents. The sidewalls are a little flimsy. If the only problem is the sidewalls are little flimsy, I could see myself buying this dog bed. It’s perfect for both my Jack Russell and, and I envision many cuddle sessions between the two happening on this bed. Although it might be a tight squeeze for my Pitbull, it’s never stopped him before. If your dog loves to sprawl out their whole body when they sleep, The FrontPet Lux Orthopedic Dog Bed is the perfect option for you. Multiple layers of memory foam to keep your dog’s comfortable. The removable cover will protect inside foam from messy accidents. It’s also machine washable. The design allows your dog to sleep sprawl out entirely. It’s incredibly durable thanks to being made with an extra thick microfiber paired with reinforced double stitching. The built-in pillow is another element that adds to the comforting aesthetic. The price is a little steep for a dog bed. The FrontPet Lux Orthopedic Dog Bed only comes in one size: large. As someone with a rather large dog, this dog bed seems like the perfect option for me; however, the price is a lot steeper than I’m looking to pay. If you feel the same, keep reading for more options. The Majestic Pet Bagel Dog Bed is a very versatile product that comes in many colors and sizes which creates a variety of options a consumer can choose from; and guess what? They’re all quality. Comes in six different colors: red, khaki, green, burgundy, blue, and black. 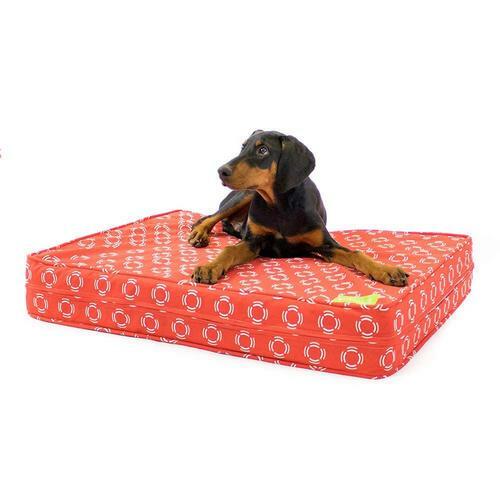 It has a waterproof denier base to keep this bed in your dog’s life for a long time. Offers spinal support thanks to the bolster on the dog bed. Made in the USA, so, you know safe and durable materials were used. Is available for an excellent price regardless of size. Some dogs just flat out refuse to lie in the bed. Now, there’s no denying that this dog bed is high-quality, but I am a little worried about the fact that some people had a hard time getting their dog to even try it. The cost is fair, though, so it may be worth a shot. 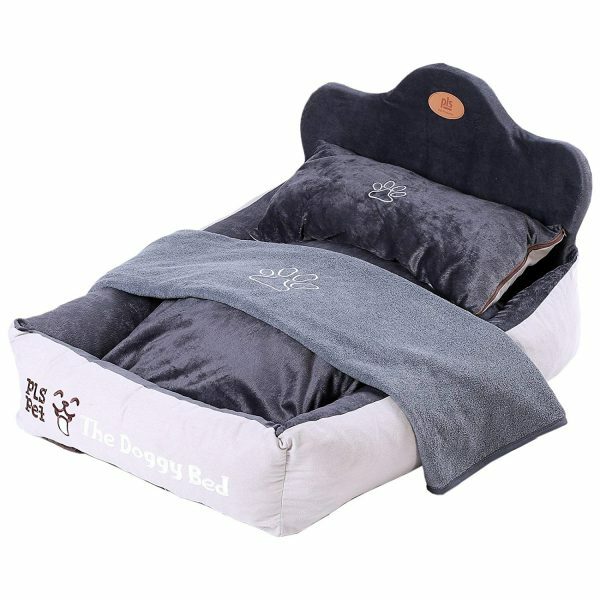 The second to last product on this list is PLS Birdsong’s The Doggy Bed and it’s a truly unique dog bed that your dog will undoubtedly enjoy. Includes a bed, blanket, and pillow to ensure your dog experiences superior comfort. Comes in two colors: gray and orange. Filled with shredded foam that adds additional support. All these features come at a very affordable price. The cover is removable which makes it easy to wash. Some customers complained about the filling being underwhelming. This bed set is ridiculously cute, but I am a little worried about the lack of filling. My dog has arthritis, so filling is a concern. However, if you have a younger dog, this may be a fun choice! 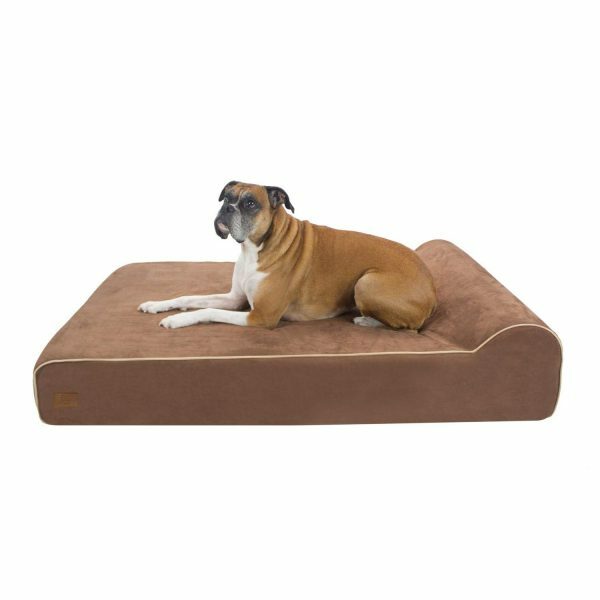 The eLuxurySupply Orthopedic Dog Bed has a myriad of features that will elevate this dog bed to the top of any consumer’s list. Waterproof encasement ensures that no bathroom accident will ruin this dog bed. Comes in a whopping 11 different colors: blue medallion, charcoal, charcoal arrows, dog days, fire hydrant red, give a dog a bone, green medallion, huckle berry, purple medallion, red plaid, and sunset red. Includes a fully removable cover that’s machine washable and extremely convenient. 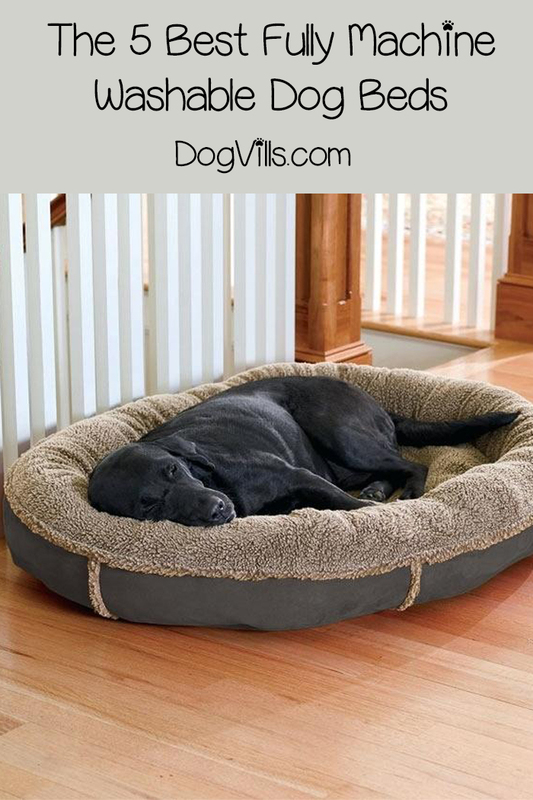 The inside is filled with interior gel memory foam to keep your dog’s naps full of comfort and delight. Has a 90-day money back guarantee that conveys a sense the company is confident in its product. It’s not made in the USA, so, you can’t guarantee that it was made with safe and reliable materials. This vastly versatile dog bed comes in 3 different sizes: small, medium, and large. It might just be me, but I never feel comfortable buying from non-US companies. However, this product needed to be on this list because of the overwhelmingly positive reception it’s got in the customer reviews. The best product on this list is The Dog’s Bed made by the company, The Dog’s Balls. It has everything you could ask for in a dog bed and more. Plus, it’s affordable. What more could you ask for in a product? 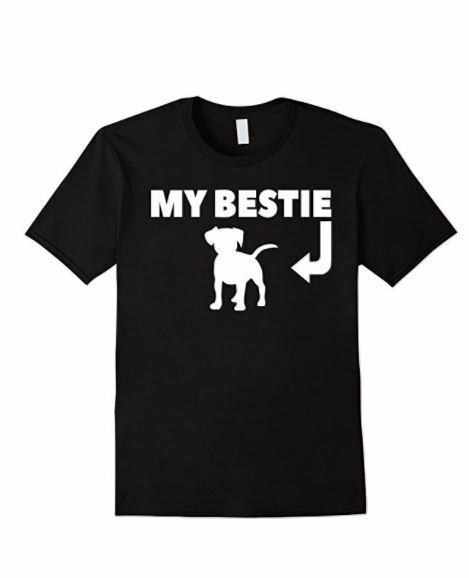 So, hopefully, you’ll follow my lead and buy one for your dog too! Which of these fully machine-washable dog beds would you choose? Share below! My name is Ben Roberts, and I absolutely love animals. So, naturally, I love writing about them too! As far as my animals, I have a Pit-bull, a Beagle-lab mix, a Chihuahua, and one old cat. Each one of them provides me with a new adventure every day. And the best part is they’re all best friends. Well, except the cat when he gets a little annoyed.